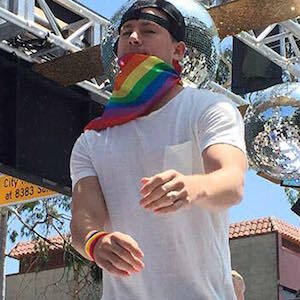 The cast of Magic Mike XXL stole the spotlight atop a float at Los Angeles Pride. Channing Tatum and out gay actor Mike Bomer took to the float, with their clothes on, alongside some muscular dancers who were not so well covered up. Tatum appeared in interviews after dancing on the float to say that he didn’t realise there would be one, but that they just went with it. The 35-year-old also split his pants during the event, and chose to wear a rainbow bandana to get into pride.